After graduating from the Dance Conservatory, Václav Janeček studied ballet pedagogy at the Academy of Performing Arts and subsequently for a doctorate in aesthetics at the Faculty of Arts at Charles University in Prague. His habilitation thesis was on the theme of innovation of classical ballet technique. 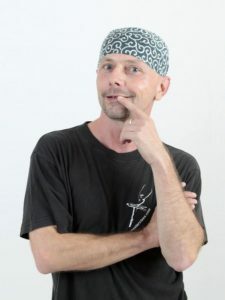 Since 1993 he has taught classical ballet technique and methodology at the Dance Department of the Academy of Performing Arts, and since 2012 has headed the Dance Department. Václav Janeček has been a dramaturge of the Czech National Ballet in Prague for a number of years. He has also been a dramaturge of the Laterna magika company, for which he still works as a pedagogue, ballet master and assistant choreographer. Previously, he was a Laterna magika soloist. His extensive publication activities include five books (Classical Ballet Methodology for ArtSchools; Echoes of Dance; Body and Dance; Laterna magika, or A Theatre of Miracles, An introduction to Dance Pedagogy) and about ninety specialist and popular essays, articles, personality profiles, interviews, editorials and specialist reflections. He has created or co-created several dance and ballet projects, scripts and television documentaries pertaining to Laterna magika (the productions Graffiti, Argonauts, Cocktail 008, and Code 58.08, the exhibition titled Laterna magika – A Multi-Visual Phenomenon, etc.) and the National Theatre in Prague (Ballet Mania, Americana II-III, Faust, etc. ), Night Rehearsal at Ballet of State Theatre Kosice (Slovak Rep.). Václav Janeček’s artistic, specialist and educational activities also include occasional work for public and private universities, academic senates of the Academy of Performing Arts, as a member of grant committees of Prague City Council and the Ministry of Culture of the Czech Republic, and as a visiting pedagogue in Czech and foreign ensembles (e.g. Svenska Ballettskolan in Sweden, Scånes Dansteater in Malmö, Sweden, Savonia University of Applied Sciences in Finland, Hacettepe University in Turkey, Kassai Dance Comp. in Toyama, Japan, Royal Danish Ballet in Denmark, Finish National Ballet in Finland, Folkuniversitetet Stockholm in Sweden, Ballet of Mariinsky Theatre, St. Petersburg in Russia etc. ).